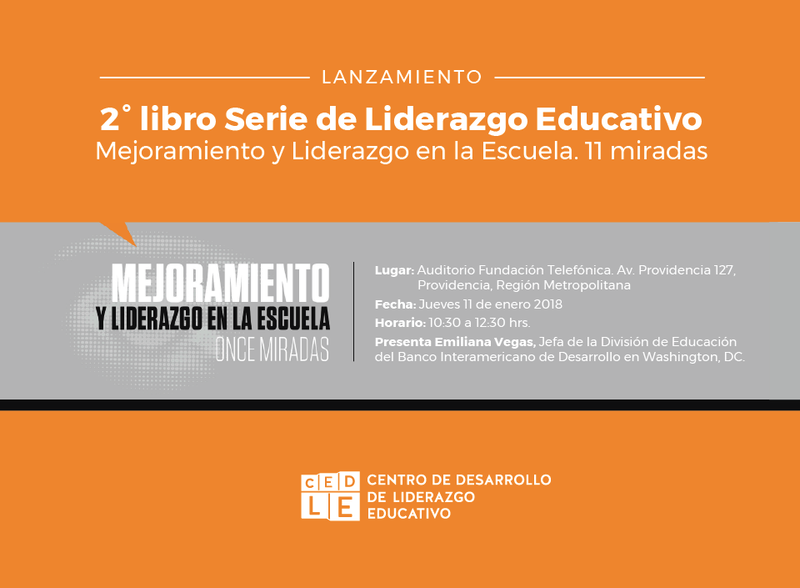 Improvement and Leadership in the School: 11 Looks – GICE-UAM | Grupo de investigación "Cambio Educativo para la Justicia Social"
On January 11, 2018, the work “Improvement and Leadership in School: 11 Looks” was presented, in which professors Antonio Bolívar (from the FORCE research group) and F. Javier Murillo (coordinator of the research group GICE) are authors. Book published by the Educational Leadership Development Center (CEDLE) of Chile and coordinated by Jose Weinstein and Gonzalo Muñoz. Other authors are: D. Hopkins, P. Sebring, K. Seashore, M. Fullan, A. Amanda Datnow, K. Schildkamp, A. Harris, D. Ng, M. Jones, DT Nguyen, D. Vaillant , R. Mintrop, M. Orders, S. Anderson, or Ch. Chapman.